Get out your wallet. One of the best board games has something new to offer. 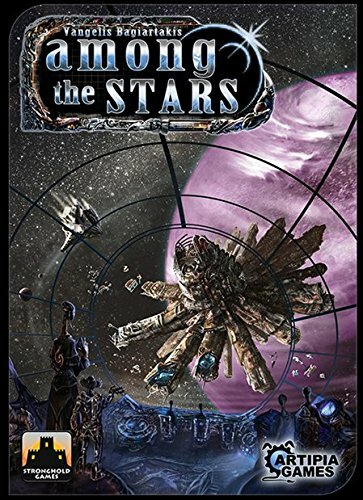 If you’ve never played Among the Stars, you’re missing out. It’s like Suburbia, but in space. If you’ve never played Suburbia, well, the idea is that you’re trying to build the best space station around. You do this by choosing tiles each round during a draft and then placing them strategically to maximize your points. There are already a couple of expansions available for Among the Stars, The Ambassadors and Expanding the Alliance. The newest expansion, Revival, sounds like the best of the bunch and you can pre-order it now via Kickstarter for $40 (or spend more for extras). A new era has begun. The Alliance’s attempt to revive the worlds that were destroyed during the Purge was met with great success and the future looks bright for the first time. Those sectors that were abandoned before, have now become very active and are blooming with life. The Kickstarter campaign, which has already funded, includes options to pimp out your copy of Revival, including adding some minis. You can also add in expansions you don’t already have or even the base game. You can back Among the Stars: Revival here.